Baddie: Mommy issues, as per usual. Lesson: He told you not to go out. As you’ll recall, I tackled the remake of this film, starring one Elijah Wood, a few weeks ago. I haven’t reviewed an honest to goodness slasher movie in a while, so I thought I’d also give the original a go. I’m also usually interested in seeing originals when possible, and my horror movie cred is woefully lacking in early movies, Ill admit. 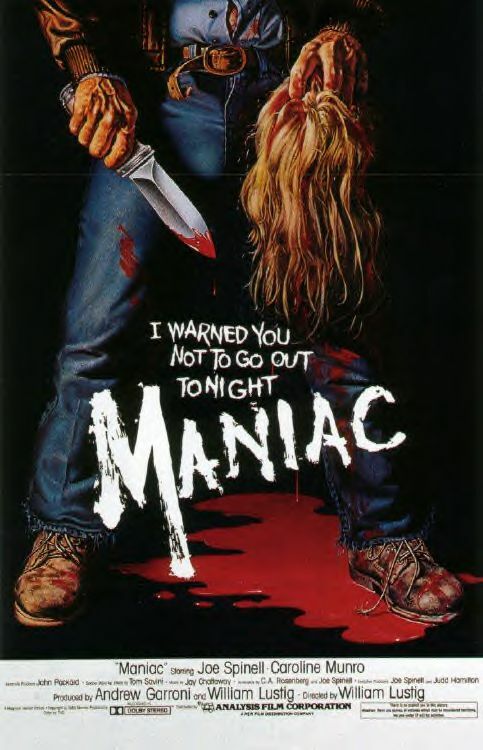 Well, I’m in luck, because Maniac is a good old fashioned American slasher flick (Tom Savini and all), this time starring Joe Spinell as Frank. The 2012 version appears to be decently close to a shot for shot remake with a lot of significant mimicry but, of course, has some pretty important differences. I think the remake attempted to make it sleeker, more modern, but in doing so created a more abstractly surreal concept. 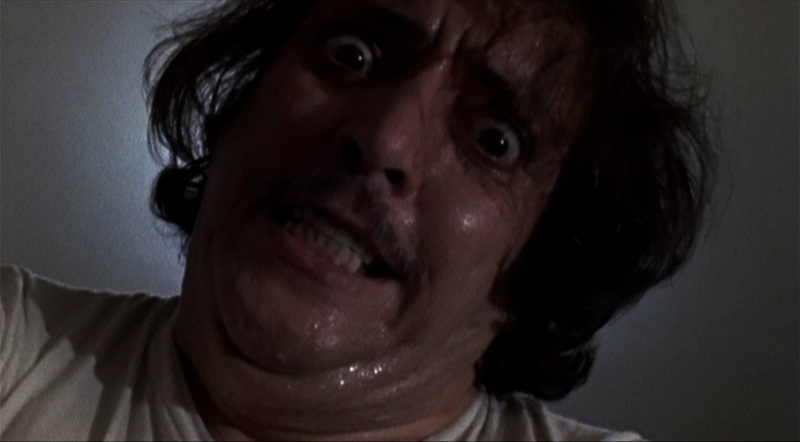 Spinell channels a lot more anger into the role of Frank, and his mother issues are almost immediately apparent without the use of flashbacks. 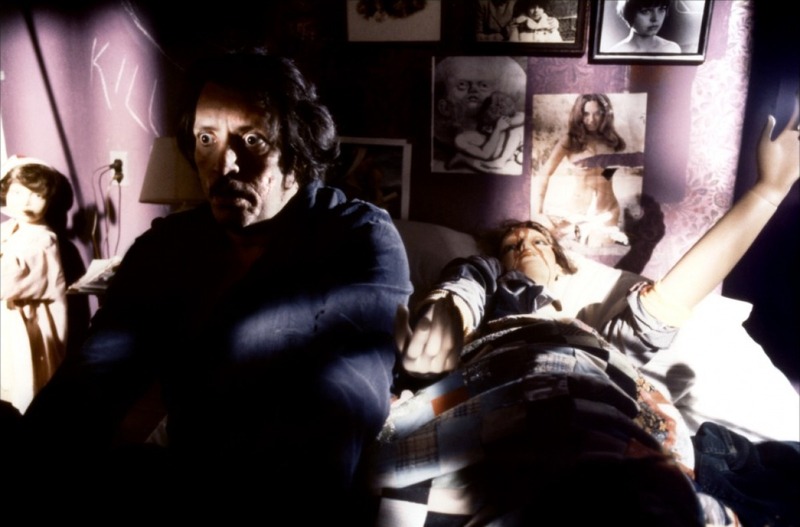 I liked how Elijah Wood handled the character, but Spinell’s is arguably a lot creepier. For one, Spinell isn’t an adorable little hobbit. For two, his monologues with the mannequins are more pointed. At one point he handcuffs himself to his latest creation and falls asleep. The surrealism, potentially a result of the French influence in the 2012 remake, contributed a lot to the feeling of a high-school movie that I mentioned. One of the best things about 70’s and 80’s slasher movies is that they are just super honest. As for Anna, she’s British this time (she was French in the French movie, go figure) and seems to be a bit more naive. She also doesn’t exclusively photograph mannequins, instead she photographs beautiful women. Plus, since Anna and Frank now don’t have their creepy little mannequin obsession, their romance is a lot different in tone. There’s no sense of weird kinship, simply a respect for Anna’s art and, in his critique, a suggestion of psychosis. When you look at films like Bay of Blood or Friday the 13th, even Sleepaway Camp, the the premises are simple. Isolated location, mommy issues, murder. They took their cues from Psycho, then followed in Bava’s footsteps. Maniac is an exploitation film, but still manages to be more progressive than it’s remake. Ultimately though, I don’t have that much to say about it because while it’s definitely a cult-ish slasher movie, it didn’t appeal to me in the same way as some of the others I’ve mentioned.